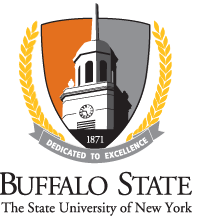 Lisa Marie Anselmi has been teaching at SUNY Buffalo State since fall 2004. She is an archaeologist who has done fieldwork in New York, Ontario, and Connecticut and has utilized archaeological collections curated at museums and institutions throughout Northeastern North America. Her primary research interests include the use of metals, the adoption of technological practices by Native Americans/First Nations peoples and Europeans, and trade in Northeastern North America during the Early and Middle Contact periods. Secondary interests include the use of the Great Lakes region and subsistence technology. Anselmi is also a Research Fellow at the Buffalo Museum of Science.